The history of the Queensland’s first light rail project began back in the mid-1990s, when projections for growth on the Gold Coast made it apparent that the city’s present infrastructure would struggle to cope with a fast rising population. Traffic congestion in particular would inevitably become a bigger problem – more accessible public transport and a more efficient way of using existing roads were chosen as the best method of combating this issue. The first real plan for the Gold Coast Light Rail was laid out in the Gold Coast City Council Transport Plan 1998, after several years of review. Other modes of public transportation were also considered, such as a monorail, a rapid bus transit system, higher-frequency buses, adding bus lanes, etc. After review, light rail was chosen as the superior candidate, as a monorail was both too costly to construct and not accessible enough for passengers. Bus services were also considered a poor choice, as they would contribute to the traffic congestion and pollution problems, while a light rail system would actually reduce congestion and pollution. Questions on whether light rail was really a better option than buses, and how a light rail system would be best and most effectively implemented on the Gold Coast, culminated in a three-year, multi-million dollar feasibility study, financed by the Queensland and Commonwealth governments, along with the Gold Coast City Council. 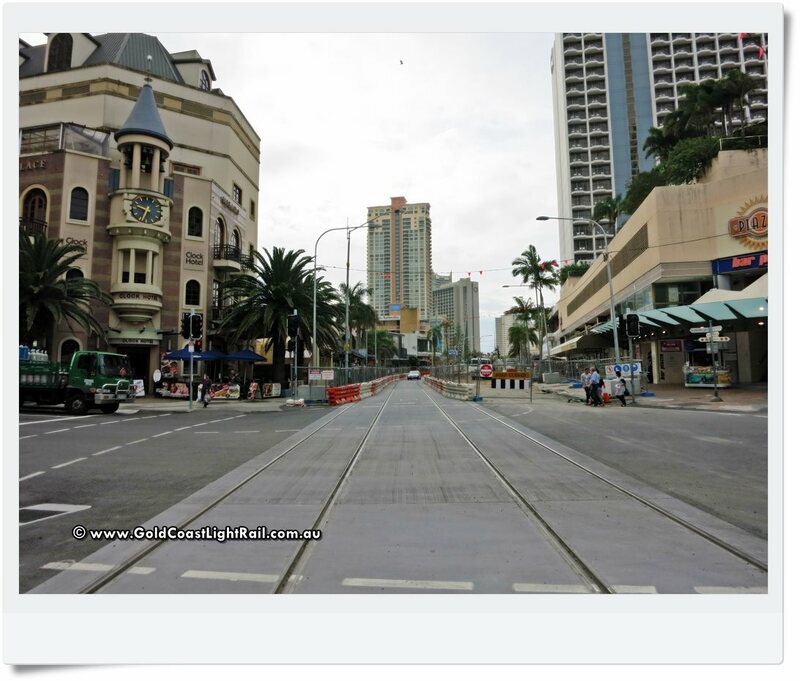 The draft summary report of the Gold Coast Light Rail Feasibility Study was released in 2004. Among other things, the study revealed that light rail could also move far greater passenger numbers than buses, confirming the choice of a light rail system for the Gold Coast. Preliminary plans for track routes and station locations called for the light rail network to be constructed and implemented in stages, concentrating on higher traffic areas first. 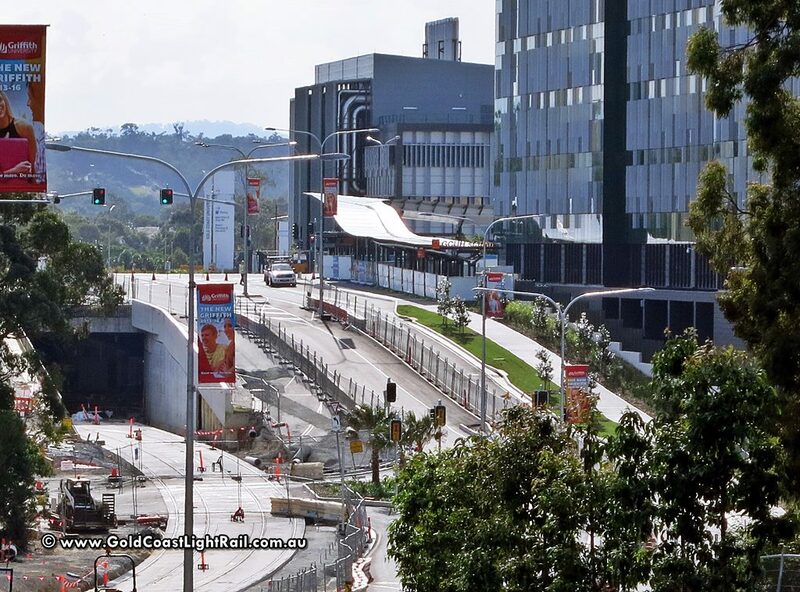 Before any kind of work could begin, the significant amount of property that would be affected by Stage One construction between Griffith University and Broadbeach had to be addressed. This led to lengthy delays by citizens who were opposed to both the property acquisition and the light rail system itself, believing that it was all for tourists and would be of no benefit to (and perhaps even the detriment of) the locals. By 2009, with the project already running years behind schedule, the Queensland government confirmed that it had spent $16.5 million on property resumptions, and had allocated $170 million for total resumptions. It was confirmed that the Queens Park Tennis Club and Southport Croquet Club would both have to be relocated and rebuilt, another point of controversy for residents. Despite the controversial nature of the project, further funds from the federal and state governments, and the local council, moved the Gold Coast Light Rail from the planning stage to procurement in 2010. Bids for roadworks, station construction, project design and implementation, etc. were called for. Leighton Holdings was awarded the contract for constructing the shell that will eventually house the Gold Coast University Hospital station, beginning in July 2010 and completed in July 2011. Early roadworks began in Broadbeach and Southport in late 2010, and were completed in late 2011. In May 2011, GoldlinQ – a group of companies consisting of GoldLinQ Pty Ltd, McConnell Dowell Constructors Pty Ltd, Bombardier Transportation Australia Pty Ltd and KDR Gold Coast Pty Ltd – was awarded the contract to design, build and operate Stage One of the rail system. This included installation of the tram tracks and overhead power supplies, design and build of the tram cars themselves, construction of stations and other structures, testing and reviews, and a 15 year contract to maintain the system infrastructure and to run the day-to-day operations of the system after it’s opened to the public. Major construction of the Stage One light rail corridor commenced in January 2012, due to be completed in late 2013. Testing and commissioning of the system should begin in early 2014, with Stage One due to commence public passenger service in June 2014. 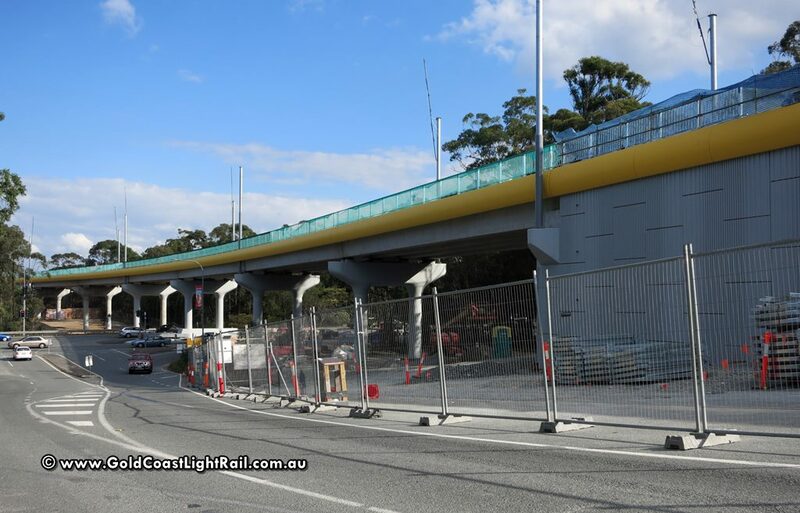 According to the Transport Strategy 2031, released by the Gold Coast City Council in late 2012, further stages of construction to expand the network are in the preliminary planning stage for the coming years.